Orkut has improved GTalk integration and now pops out the chat window,a much-needed improvement as compared to the earlier version. 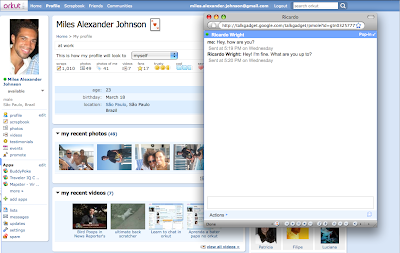 The new release has also added chatting with multiple friends at the same time (via). Facebook is gaining traction in India and while I have no data point to say this, but I have a strong belief that many of the savvy users are leaving Orkut for Facebook (though Orkut is still going strong). Indian OTAs – Who is riding the traffic wave?